← Kitten von Mew and The Berliner Video! I thought I would share a few photos taken at the WI Masquerade Ball last weekend in Stratford upon Avon. 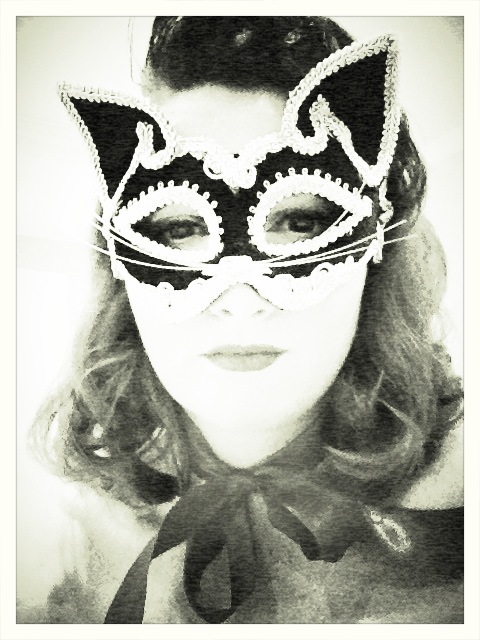 I sang a set of 40’s and 50’s songs in my big ballgown and then later did my Mewy Antoinette burlesque fan dance. The funny thing was that I couldn’t put my left foot down for the entire 20 minute singing set as I could feel something weird under my heel that I had obviously dragged across the floor in the train of the dress. This ended up as being a plastic clothes peg…oh the glamour! 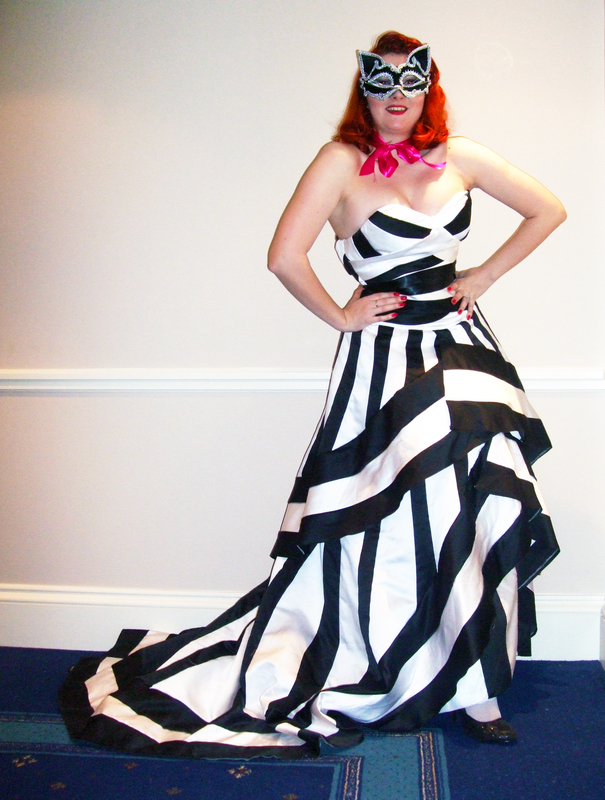 My crazy ball gown that will make it’s next appearance on the Halloween Steam Train Trip this October! Posted in Events and Performances and tagged ball gown, kitten von mew, kitty mew, masquerade, photos, pinup girls, vintage girl, vintage pinup. Bookmark the permalink.